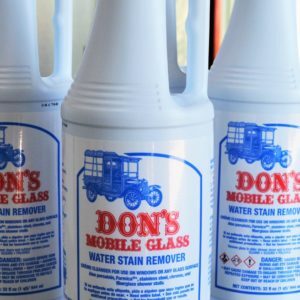 The “World’s Best” Water Stain Remover. 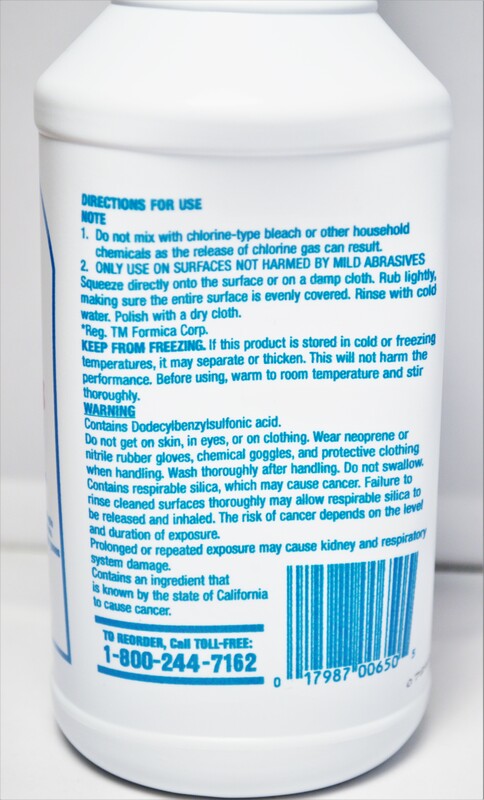 16 Oz – Creme Cleanser. 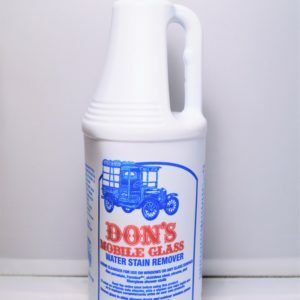 Used on windows or any glass surface to remove hard water stains. 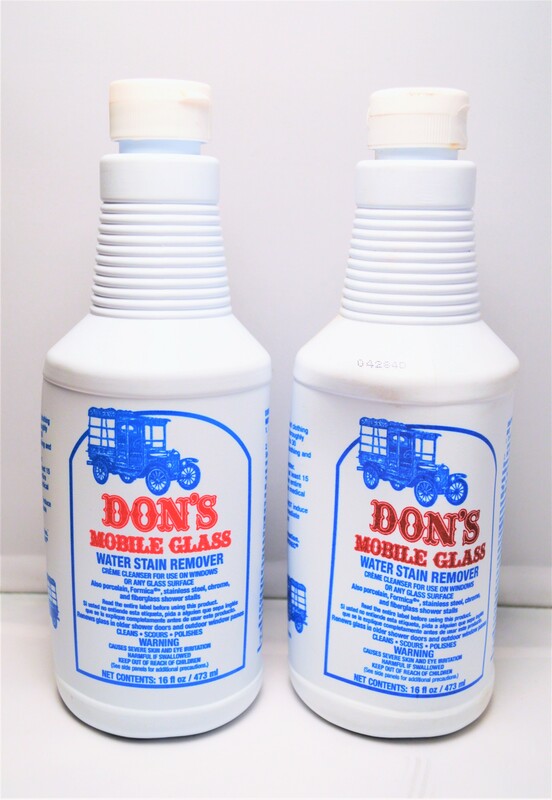 Also can be used on porcelain, Formica, stainless steel, chrome, fiber glass, and shower stalls. 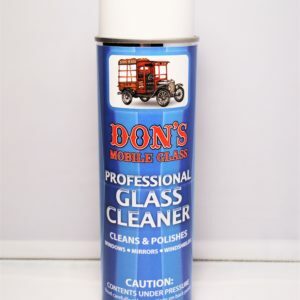 Custom formulated for professional use by Don’s Mobile Glass.